But how would military operations change if soldiers on the battlefield could have the best of both worlds: access to expert engineers able to fabricate custom-designed fixes right on-the-spot and in very little time? The ability to rapidly evolve solutions from conception to implementation has become a reality with the Expeditionary Lab Mobile (ELM). The 20-foot container comes equipped with 3D printers, computer-assisted milling machines, and laser, plasma, and water cutters, along with common tools like saws and welding gear. Parts can be made of plastic, steel, and aluminum. With a generator, heating and cooling systems, and satellite communications all manned by two specially trained engineers, the 10-ton ELM is effectively a digital fabrication workshop in a box. When an ELM is on site, soldiers can dialogue with engineers about solutions to a particular problem and discuss potential designs. Through this collaborative process, the engineers can fabricate the parts so that soldiers can immediately test the designs and provide valuable feedback. 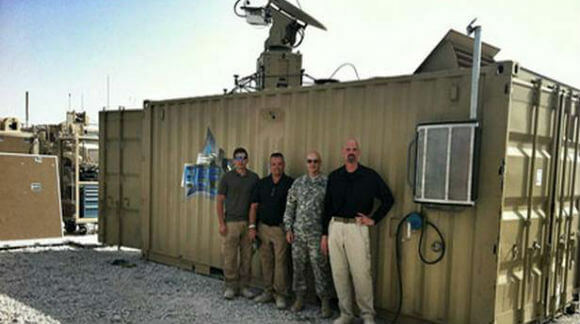 Read more: 3D Printing On The Frontlines — Army Deploying $2.8M Mobile Fabrication Labs | Singularity Hub.